Have you watched the ‘Night at the Museum’ movie? Well, I believe if you’ll spend a night in the Rijksmuseum you’ll also be accompanied with some truly interesting characters. Dutch navy admirals, 17th century children drinking, smoking pipe and eating stroopwafels, lady reading a love letter that obviously isn’t from her husband or a mother looking for a lice in her daughter’s hair. Open way back in 1885, Rijksmuseum, the Dutch National museum, was filled with controversies from the very beginning. 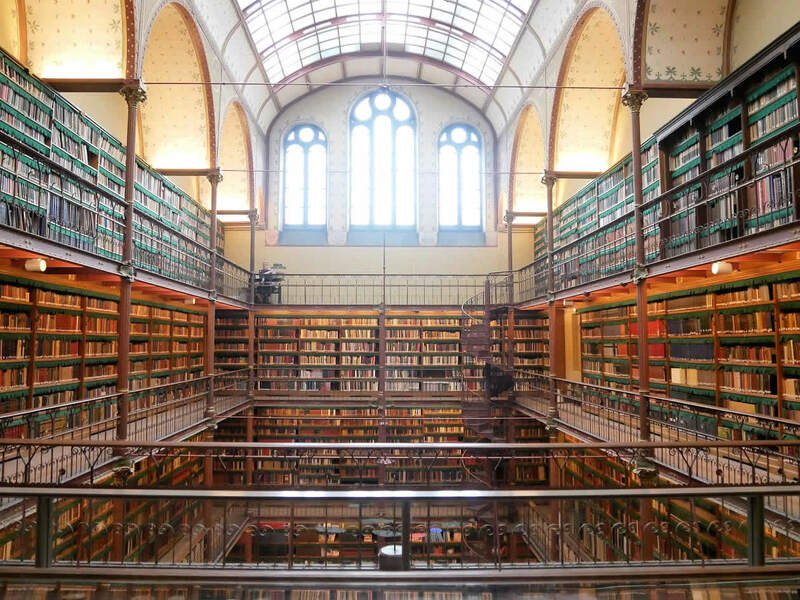 So, here are 10 things you probably didn’t know about the Rijksmuseum. Rijksmuseum is the only museum in the world with a road in it. It was built at the edge of the city so they wanted to connect historical center with a new neighbourhoods which were planned to be built on the other side. Road was opened for motorized vehicles until 1931, but since it was really bad for exhibits and the building itself, nowadays it’s open for bicycles only. However, you can still find the a stone with a golden finger pointing the traffic into the right direction (above the entrance from Museumplein side). 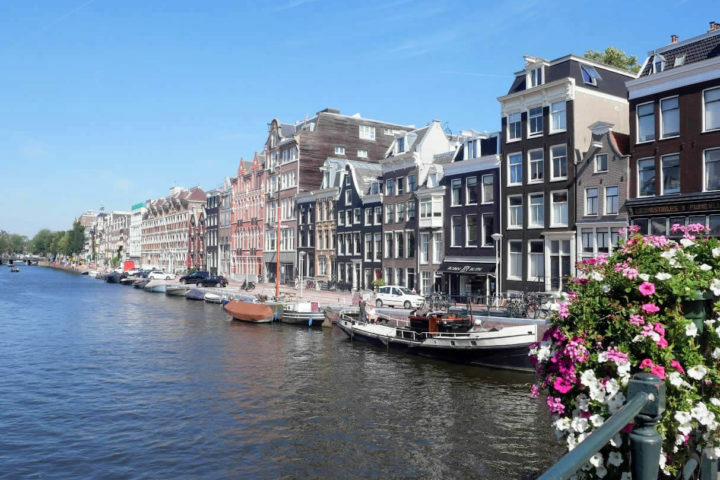 The first solid ground in Amsterdam is some 15 meters below the ground level. You saw how I wrote the ‘ground level’? Since majority of Amsterdam is below the sea level, the ‘sea level’ isn’t really used as a measurement in the Netherlands. 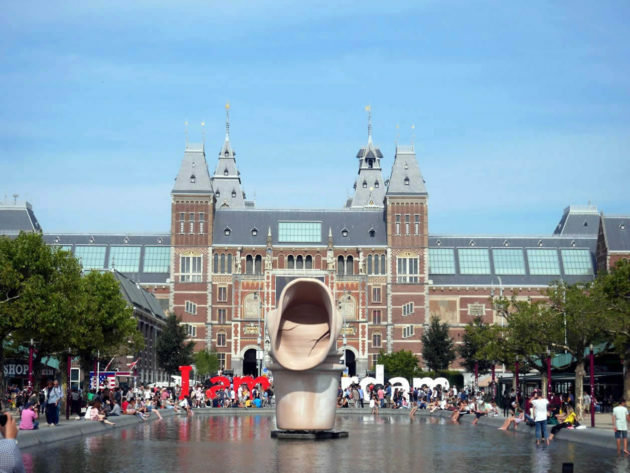 However, that’s why many larger buildings in Amsterdam were built on wooden piles and Rijksmuseum is no exception! It was built on some 8,000 piles which are still supporting the building today. 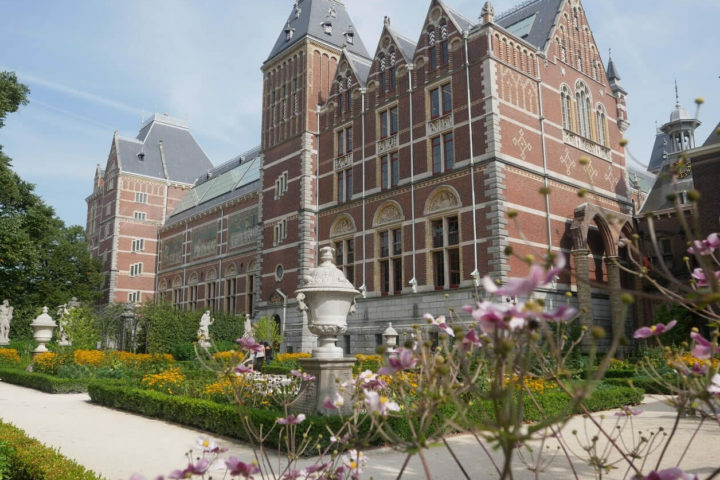 Rijksmuseum’s collection started to be gathered almost a 100 years before the museum opened its doors. Today there are around 1 million objects in a collection, while only some 8,000 of them are on display. If you would like to see all of them, you’ll probably need a week to see everything. And you’ll also need a good walking shoes, a total walking distance of the galleries is 1.5 km. You know that beautiful library you can peek into from the second floor? It’s the largest art library in the country and it’s open to anyone. So, next time you’ll be in a museum and want to learn more about that handsome guy from one of the group portraits, you know where to go! Did you know that one of the X’s in Amsterdam’s coat of arms marks all the troubles with floods the city went through? Well, it was a huge issue back in a history. But, it was also an issue for the museum in 2003 when they started its renovation and have planned it to last for only a year. They started to dig the tunnel below the road I’ve mentioned before (take a look at #no. 1) and all of a sudden museum was completely flooded with the water from the nearby canal. Well, let’s just say they broke the financial budget and prolonged the restoration for 9 more years. Visit to Rijksmuseum is really a history lesson with all the wall paintings in it showing artists, rulers and the most important events from the Dutch history. They are probably the most beautiful part of its architecture. However, the director of a museum in 1960’s wasn’t thinking the same. He thought they were distracting visitors from the exhibits and that they weren’t really showing a humble Dutch spirit, so he’s decided to white-washed them. Luckily they were preserved below the layer of white paint, and in 2013 they were brought back to life. There are so many funny facts related to the most famous painting museum has in its collection. A few years after it was made, Rembrandt’s Night Watch was transferred to Amsterdam’s City Hall. However, the wall on which they wanted to put it was too small for it. So, instead of just removing it to a more suitable wall, they decided to cut the painting a bit to fit it into the wall. Therefore, we are missing two men in the left part of the painting today. There are of course many other funny facts related to it, but this should be a topic of a completely new blog post. Let me just tell you that the name is completely wrong, that Rembrandt included his own and his wife’s portrait in it and that there are many, well… sexual connotations in it too. Have you noticed an armour missing the leg in one of the Rijksmuseum’s galleries? It’s original owner admiral Jacob van Heemskerck lost it in a battle of Gibraltar in 1607. He was the first Dutchman to be given an official state funeral, honouring his victory in the battle in which he lost his leg (and sadly his life, as well). It looks like many Dutch paintings in the Rijksmuseum are just so busy with a lot of things happening in them, that it’s almost hard to follow the story in them. Well, in Hendrick Avercamp’s ‘Winter Landscape’ there are just so many things included, that you can’t miss it. We have a public toilet, with the hole in it through which you can see someone answering the nature’s call. There is a man fallen through the ice and some people laughing at him. While on the other side there is a scene which is not funny at all, dog and crows dine on the carcass of an animal. A true 17th century everyday life scene. When talking about everyday life in the 17th century I’ve left my favourite detail for the end. In one of Jan Steen’s paintings in the Rijksmuseum there is a basket with a stroopwafel in it. As a huge fan of that Dutch sweet I found this painting to be my favourite, a true ode to the Dutch tradition that in many segments didn’t change much until the nowadays. There are so many more of those funny details on some of the paintings from the Rijksmuseum. Have you ever visited it? What are some of your favourite exhibits in the museum? Let us know in comments below. 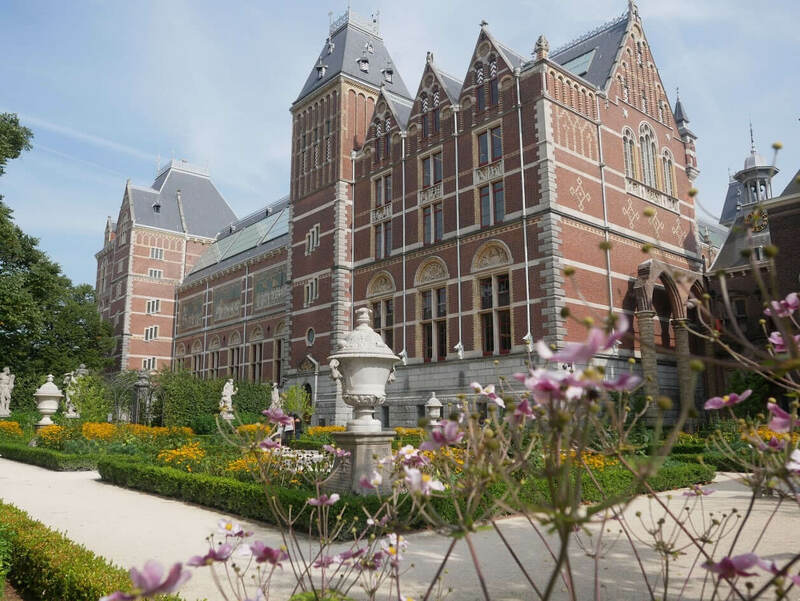 Would you like to learn more about the Rijksmuseum and its collection? You can get your ticket on a link here or join one of the art tours organised there. Check these links for more info. 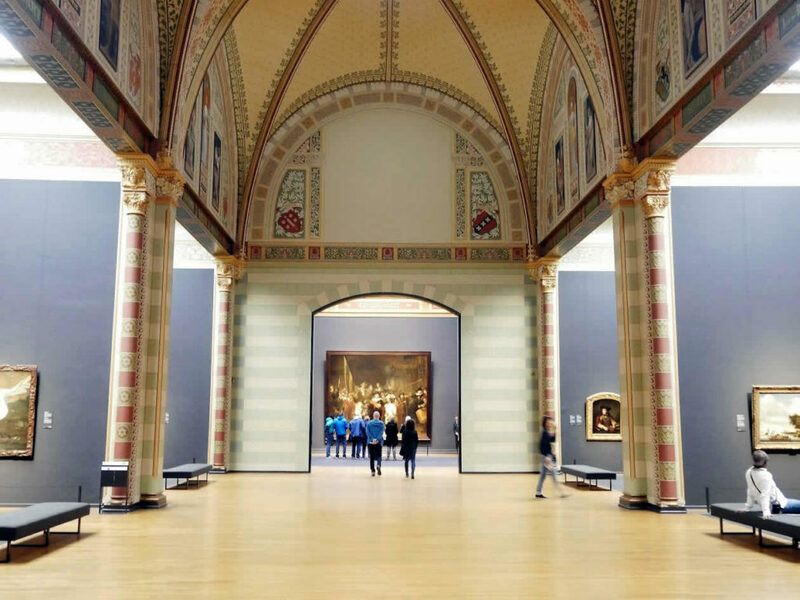 Wow I’ve been in the Rijksmuseum so many times and didn’t know half of these facts! Very interesting, especially to see the photos you’ve taken there. Love that old library, can’t believe I’ve never seen it! Think it’s time to get a museum card again and check it out! What fun facts! Wish I had known these when visiting last March…guess we will just have to go back!